Since 2003, Wrap It Up! has been serving Central New York with iconic wraps and sandwiches. You may have seen us at local fairs and festivals, but we also have a store conveniently located on Route 31 in Clay, New York. Come in or call ahead to try for yourself what Wrap It Up has to offer! Minimum order required for delivery. $2.00 delivery surcharge will be added. With peppers, onions, mushrooms, & mozzarella. Topped with onion rings drizzled in BBQ. Double-battered and served with ranch. ham, capicola, salami, provolone cheese, lettuce, tomato, red onion, artichoke hearts, pepperoncini's, roasted red peppers, black olives, and choice of dressing. romaine lettuce, tomato, feta cheese, red onion, cucumbers, kalamata olives, and greek vinaigrette or tzatziki dressing. grilled chicken, romaine lettuce, tomato, feta cheese, red onion, cucumbers, kalamata olives, and greek vinaigrette or tzatziki dressing. shaved steak topped with crumbly bleu cheese on romaine lettuce, tomato, cucumbers, red onion, black olives, with balsamic dressing or choice of dressing. seasoned meat topped with cheddar cheese on lettuce, tomato, black olives, red onions, salsa, sour cream, and chipotle ranch dressing - served in a tortilla bowl. shaved steak grilled with peppers, onions and mushrooms topped with mozzarella cheese. grilled chicken, chopped bacon, lettuce, tomato, and ranch dressing. grilled chicken with peppers, onions and mushrooms topped with mozzarella cheese. 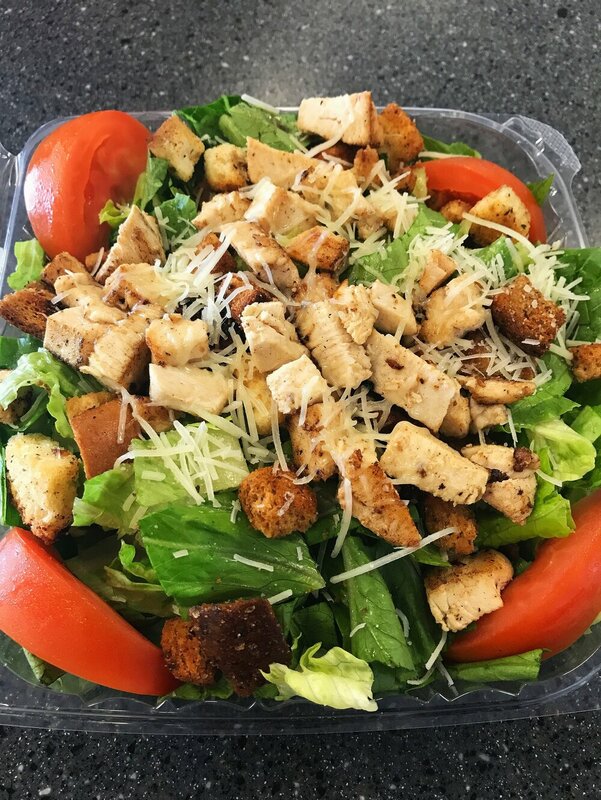 grilled chicken, romaine lettuce, tomato, kalamata olives, feta cheese, and choice of greek vinaigrette or tzatziki dressing. grilled chicken tossed in buffalo hot sauce with lettuce, tomato, and choice of ranch or creamy bleu cheese. grilled chicken, romaine lettuce, tomato, asiago cheese, and creamy caesar dressing. grilled chicken, lettuce, tomato, and honey mustard dressing. grilled turkey, bacon, lettuce, tomato, American cheese, and mayonnaise. grilled peppers, onions, and mushrooms, with choice of toppings and dressing. chopped bacon, lettuce, tomato, and mayonnaise. grilled portobello mushrooms, marinated in balsamic vinaigrette dressing, with choice of toppings, and pesto mayonnaise. fresh ground beef topped with American cheese, lettuce, tomato, onion, pickles, ketchup, mustard, and mayonnaise. fresh ground beef topped with American cheese, bacon, lettuce, tomato, onion, pickles, ketchup, mustard, and mayonnaise. seasoned ground beef topped with cheddar cheese, lettuce, tomato, black olives, salsa, sour cream, and chipotle ranch dressing. shredded lettuce, romaine lettuce, fresh peppers, jalapeno peppers, mushrooms, onions, diced tomatoes, black olives, kalamata olives, banana pepper rings, roasted red peppers, cucumber, red onion, crumbly bleu cheese, feta cheese. ranch, Italian, honey mustard, greek vinaigrette, creamy caesar, tzatziki, balsamic vinaigrette, creamy bleu cheese, thousand island, buffalo hot sauce, barbecue, steak sauce, mayonnaise, horsey mayo, mustard, ketchup, spicy mustard, chipotle ranch, jalapeño ranch. topped with Swiss cheese, sautéed mushrooms, and caramelized onions. shaved steak grilled with peppers, onions, and mushrooms, topped with mozzarella cheese. grilled chicken with peppers, onions, and mushrooms, topped with mozzarella cheese. fried chicken tenders covered in hot sauce with lettuce, tomato, and choice of ranch or bleu cheese dressing..
corned beef topped with Swiss cheese, sauerkraut, and thousand island dressing on dark rye. corned beef topped with Swiss cheese, red cabbage, and thousand island dressing on dark rye. roast beef, cheddar cheese, horsey sauce, and choice of toppings on white bread. homemade sauce and meatballs topped with mozzarella cheese on a toasted bun. breaded chicken with marinara sauce topped with mozzarella cheese on a toasted sub roll. grilled pastrami topped with provolone cheese, spicy mustard, and choice of toppings on light rye bread. slow cooked pulled pork, BBQ sauce. slow cooked pulled pork, topped with homemade coleslaw, BBQ sauce. tuna salad topped with American cheese and choice of toppings on choice of bread. grilled turkey topped with americium Cheese and choice of toppings on choice of bread. bacon, lettuce, tomato, and mayonnaise on choice of bread. Served on fresh NY Bakery deli-style bread: white, wheat, light rye, dark rye, or submarine roll. Turkey, Ham, Roast Beef, Salami, Capicola, Pastrami, Corned Beef, Chicken Salad, Tuna Salad. Includes pickle spear, choice of Provolone, American, Cheddar, or Swiss cheese; lettuce, tomato, red onion, fresh peppers, roasted red peppers, black olives, and banana pepper rings; choice of condiments. with melted cheese, crumbles bacon, and sour cream. Macaroni, Pasta, Greek Pasta, Potato, or Coleslaw. Available in half and full trays. Meat choices include Turkey, Ham, Roast Beef, or Salami. Cheese choices includes American, Swiss, Provolone, or Cheddar. Please call for more information on other meats. Additional charge for rolls, not included.